Welcome to ThingsMenBuy.com, the premier source for reviews of cool stuff for men. And let’s face it, probably stuff men buy but don’t necessarily need! I’m Tim, the chief reviewer and founder of this website. I urge you to learn more about me and the other guys so you can identify similarities and differences and better understand the product reviews of everything we think might interest men and the women who shop for them. One day we hope to become the “go to” authority on all things that men buy and consume! Familiarizing yourself with the authors of this website will put you in a mindset where you can identify with someone who you have things in common with, and therefore, find consistencies in likes and dislikes of products that you purchase. I started this website because frankly, I didn’t have an end all, be all source of informative male product reviews that had a voice behind them. I was sick and tired of reading all the stuffy tech blogs reviewing technology products and not knowing just WHO was behind them. I was sick and tired of reading Amazon reviews and not having any connection with the actual consumer reviewing the product. The goal of this website is to engage readers and get them to know just WHO I am, so they know what sort of background I come from and why I may or may not like certain products. Over time, we’ll have other authors join in the fun and perhaps have varied backgrounds. Some people enjoy luxury items, others are simplistic. Some are fashionistas, others (like me) are entirely fine rocking sports apparel and comfortable items such as Under Armour clothing. Hey, if that’s not cool stuff for guys, what is? Below are links to all of our social media platforms. To get the latest information and reviews, in real time, please connect with us on social. As a site with big aspirations, I’m very open to suggestions, advice, praise, and constructive criticism, so please, use the contact form or leave a comment anywhere you have a chance. I wrote a review of one of my favorite cigars, the Joya de Nicaragua Antano 1970 Cigar. If you are a cigar smoker, know that I have aligned myself with Famous Smoke. Visit this page for a current coupon code and order from the comfort of your home. I know I do…..frequently! This cigar was special to me because I personally brought back a box of these after spending time in Nicaragua! I’d enjoyed this cigar at my local cigar club previously, but this time, this was direct from the SOURCE! Often times I smoke cigars while updating this very website, because that’s what men do. Of course, one of my all time favorite purchases and product reviews is my Golden Tee Golf Home Edition video game. We spend hours playing this vintage arcade game that through technology gets updated every single year with new features! My son is arguably the best ten year old player in the world! Speaking of video games, you MUST check out these parody Nintendo drinking flasks. These are the perfect gift for any fan of the original eight bit Nintendo Entertainment System! No matter what time of year it is, you can always buy ugly Christmas sweaters! You’ll also see some pics of my past ugly sweater parties so you can get an idea of some of the hideous but memorable sweaters they create! They also have an expanded line of products that includes college game day apparel. However, as an apparel junkie, the most visited page on this site is the one with the Under Armour coupons. If you work out, there is no better apparel on Earth than you can wear, and wear more comfortably, than Under Armour clothing. If you subscribe to my newsletter you’ll get a notice every time they have a massive sale or free shipping. I don’t spam, I just let you know when there is 100% pure value on things you buy already. Of course, if you are working out, you’ll also enjoy the bulk supplements coupons and review as well. 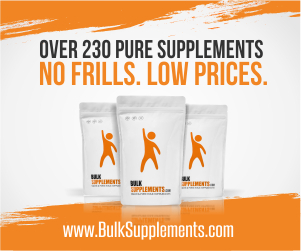 You can buy just about anything you need for your nutritional supplementation on their secure website. That’s a quick summary. You’ll see the hottest products for men outlined on the above chart. I’ll be adding many more reviews and updates as time passes. We always appreciate when people share our website with others, so if you know anyone shopping for cool stuff for men, by all means, please pass this along to them! I’m always looking for people to share their thoughts on the website, so please sign up for DISQUS if you haven’t already, and start sharing your thoughts, comments, and suggestions with us. Hey Tim, Caleb here. I just gotta say man I love this site and have actually found a couple of things I plan to buy (Mostly cigars, nothing goes wrong with a good cigar). Take tourists to nearby sights like the Grand Canyon and Hoover Dam. You can choose anything from helicopters to bikes.